Children have the opportunity to become whatever they so choose, and it is our mission to provide them with all the tools they need to get there. Fundamental to this process is the development of a critical mind and a compassionate heart; for what will a person gain if they possess the world’s knowledge but have not the heart to share it with others. This is the mission of the Buddy Program. 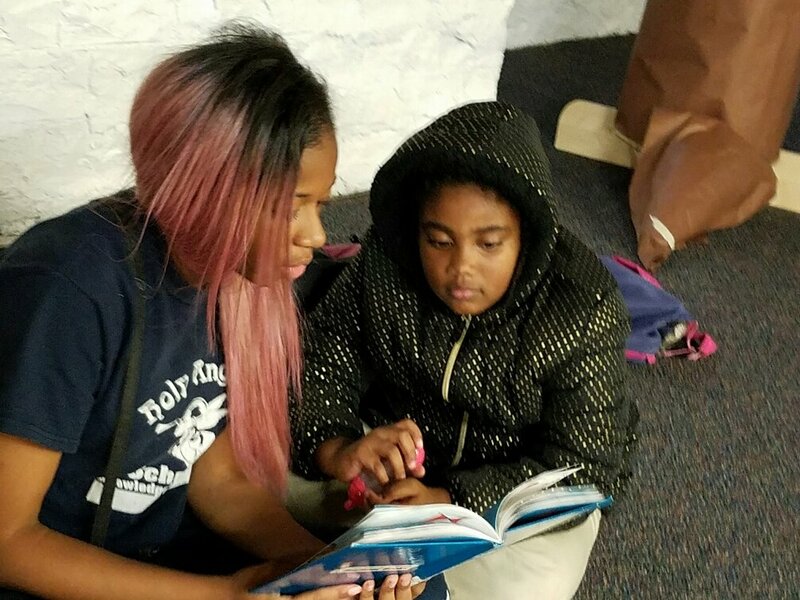 Every Thursday, we host “The Buddy Program,” a one hour break during the day where 8th Graders pair up with a kindergartner to read them books and to foster their mentee’s love of reading. We leverage this unique cross-aged peer mentoring program to develop both students. For our 8th Graders, they gain self-esteem and self-awareness by utilizing the skills they mastered to teach a fellow student. Furthermore, they develop compassion and patience by slowly working through simple books with their kindergarten partners. Kindergarteners benefit by receiving new academic skills from a near-peer, as well as developing their ability to socialize with older students. Our school benefits as our community grows closer by developing this connection between students furthest apart on their educational journey. If you ever visit us during the day, you will likely see an 8th grader quickly cross the hall to greet and hug their kindergarten mentee. The positivity of this relationship ripples throughout the building, and exemplifies what it means to be an angel. If this topic interest you, please check out the scholarly articles linked below to learn more about cross-aged peer mentoring programs.